The coolest officially licensed T-shirts with a book or graphic novel - every month. Your first monthly payment will be taken upfront, and your THREADS box will be dispatched between the 10th and the 15th of each month. Your subscription will auto-renew, and we'll charge your card on the 1st working day of each subsequent month. Tag us on social media @The_ZBOX and #zbox. Here at ZBOX, we’re teaming up with some of the best up-and-coming designers, writers and graphic novelists in order to bring you THREADS. From just £9.99, you will receive an officially licensed T-Shirt and a either a book or graphic novel based around the same theme. There are limited boxes available each month, so make sure you sign up before you miss out. Check out our About Threads page, or the Threads FAQ pages. Start your Threads collection today! 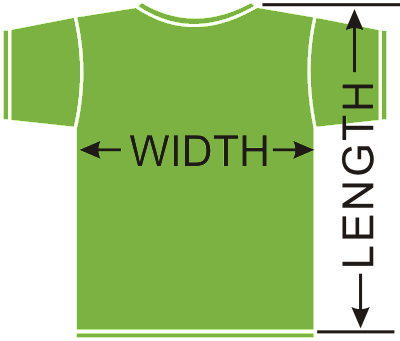 Simply add your desired T-shirt size and subscription length to your basket and the Free Mystery Past THREADS will be added automatically. 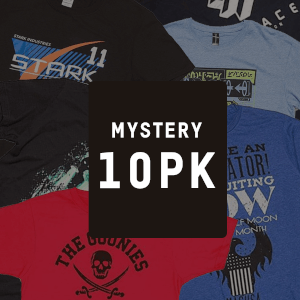 Don't forget to choose your T-shirt size for the Mystery Past THREADS in your basket! I absolutely love this! I look forward to the thread box every month. It’s really great. Ordered the threads subscription a couple days ago, I have already received my free mystery past thread box and I must say, WOW, I got a great Alien inspired Tee and also a Sci-Fi book called Armada, this book is right up my street as I do like my Sci-Fi related stuff. I recommend using this subscription. Still got one more Tee and book/novel to come and I must say I am already completely happy with my purchase! Kudos Zavvi! Keep up the good work. 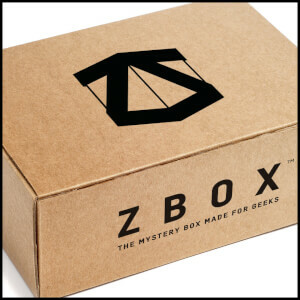 Also got a ZBOX subscription on its way! Cant wait to see what goodies are in it. January 2019 box very disappointing in my opinion. The t shirt is ok but boring compared to the usual designs and the book is childish. Not impressed, cancelled my subscription. I did however get a free mystery past threads which I liked alot. Can't seem to find a way to update my previous review, but thought it only fair to say that today I received an email from Zavvi confirming that the wrong graphic novel was put in the last box and the correct one is being shipped out. So well done Zavvi. Been subscribing for about 4 months now and have been very impressed with the quality of the T-Shirts and the graphic novels being supplied. However very disappointed with Decembers box as whilst the T-Shirt is great, the graphic novel is a 32 page comic and about a third of them are filler. Come on Zavvi do better, especially at Christmas time. I bought a 3 month subscription as a gift. He was really happy with the tee and graphic novel he got and is looking forward to the next two! The tee is really good quality, I ordered size M and it was a true fit. He's going to subscribe when his 3 months are up and was even more pleased when I told him the price. Well done Zavvi, this is a subscription box that is actually useful. No filler at all just a great tee and some fantastic reading material. You'll never read all them books, but some clothes instead. Threads is the only monthly box that I still subscribe to. For £7.99 a month you get a high quality t shirt and a book or graphic novel. Bargain. Much like Batman needs his batcave, I need threads. My other half is always moaning i don't buy enough clothes for myself and I buy too many books (that you'll probably never read) so this is the perfect answer to that. Take that! The books may be a bit hit and miss, saying that, I've had it about 5 month now and only received one book that doesn't appeal to me. All the shirts are great though and haven't had a bad one yet. It's a great way to find new authors / series to read. If you're thinking about it and aren't sure if you want to sign up, go for it. £7.99 a month if you sign up for a year, that's the same price as a McDonald's, well it is when I go, hence why I need XXL shirts. But it's seriously worth the worth the price. A t shirt is about £10 and the books vary from £8 - £15. It's a fantastic box at a great price and always arrives in one piece.